Witney is located in Oxford towards the south of England. It was created in 1983 and has elected a Conservative MP ever since. The current member of parliament is the Conservative party’s Prime Minister, David Cameron, who has served since 2001. I am accountable to you . If elected i will hold a series of annual meetings to account for my work in the constituency and to ask your views on a range of topics or potential actions. Regular surgeries for detailed casework and in touch leaflets every 3 months. A working man set up own business so know the struggles of small business’s and an educationalist- writer of books and plays. Worked extensively in schools held positions as a councillor and town mayor elsewhere so familiar with how local councils work. Not a professional politician but willing and able to resolve issues by bringing people and corganisations together for the greater good. Kept the profile of the area on the map holding the position he currently holds. Austerity has assisted in bringing down the deficit. It has focussed minds on the needs of society although it has at times caused an unfair wealth distribution causing unfair hardship particularly in the poorest and deprived areas. Immigration is essential to the UK economy as well as to contributing to the country’s rich and culturally diverse society. There needs to be a greater clarity and understanding in the system for tracking entry and exit to the UK. There needs to be greater emphasis on the introduction of the decent wage as a replacement to the minimum wage and zero contracts only to be used in temporary employment situations for students for example and start up companies for a limited period only but then used as a stepping stone to permanent or fixed term contracts. More share ownership by employees using the Waitrose model be encouraged and set up with incentives to companies to encourage a fairer distribution of profits to employees linked to performance of the company. Greater autonomy in the regions , less government interference and more control over budgets. It is a great British institution which continual investment is needed to keep it up to date and the envy of the world. More apprenticeships with a guaranteed job at the end. A greater link between schools and colleges and industry with more pilot projects set up to develop skills that are needed in industry. Probably. All parties should address this. Vote to stay in the EU. We benefit from British people who work in Europe and earn more there than others who come here for work. We have strong trade links with the EU which would otherwise be put at risk. Ex pats (over a million in Spain alone) could suffer the consequences of withdrawal-health treatment is europewide that would stop.Our influence in the world is dependent on us being in the EU. Outside we would have little to no influence. Business agree-we are better within the EU-reform yes from within! 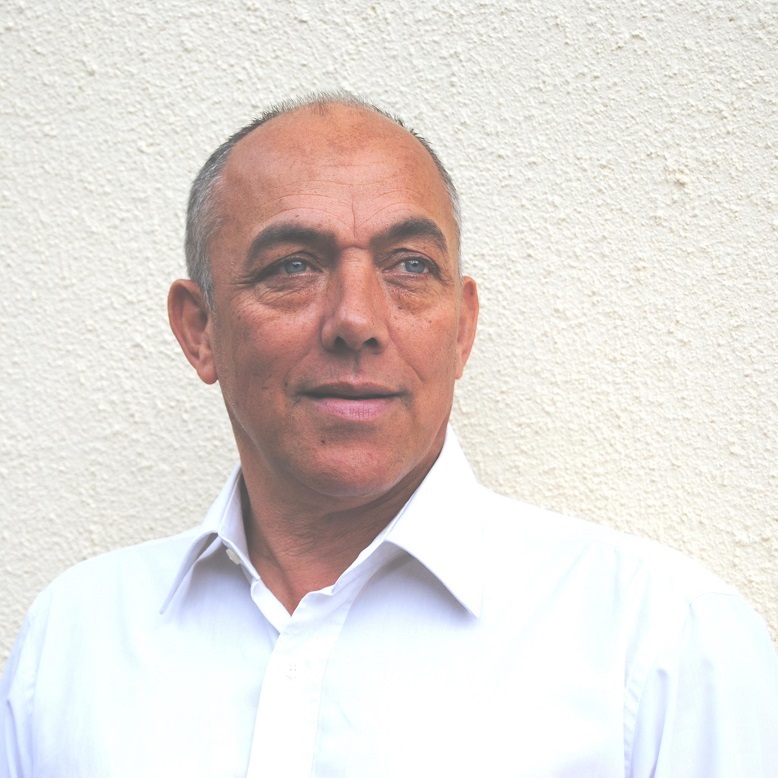 Stuart Macdonald is a professor of management and has lived in Witney for over twenty years. 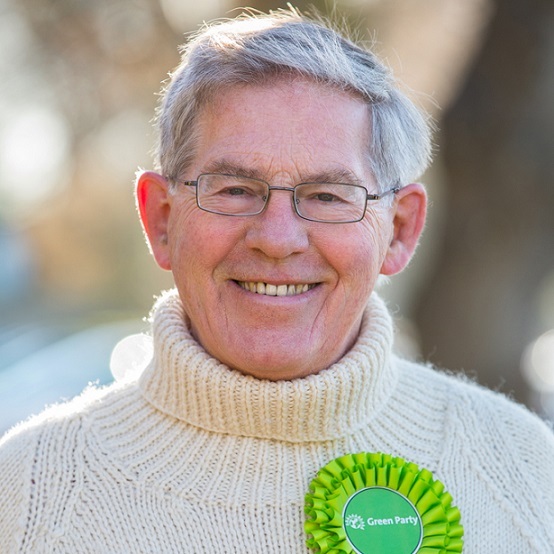 He stood against David Cameron in the 2010 general election when Witney witnessed one of the best Green performances in the country. There has been a huge surge in Green party membership in West Oxfordshire. The local party has never been better placed to fight a ferocious campaign. The interests of the Green party extend well beyond its traditional environmental concerns. The Greens offer a full political portfolio with policies on all issues. The Greens are an unashamedly socialist party providing the radical alternatives the country so desperately needs. Caroline Lucas, the first Green MP, has shown just how effective presentation of Green arguments can be. In the lead up to the election, the local Greens are staging a series of public meetings on such issues as food banks, flooding, housing, public transport, public goods, infrastructure and social mobility. The first of these was held in Witney in late November and asked how a local man, Mark Wood, could starve to death in the one of the wealthiest parts of England. The local Greens will also be arranging hustings around the constituency, where voters can put candidates to the test. Surgeries will be held throughout West Oxfordshire to answer voters’ questions. No party will be more visible than the Greens. 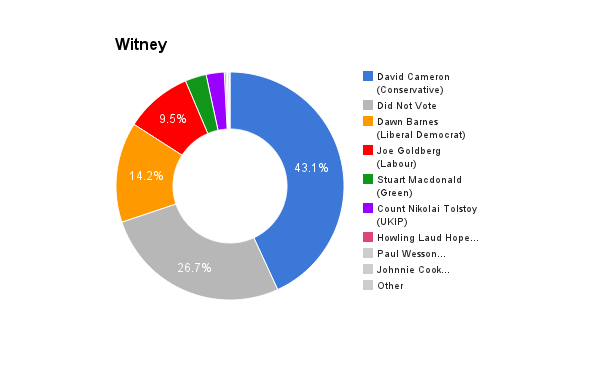 The Greens will not dislodge David Cameron from his seat in Witney. What we will do is capitalize on the Green surge in our election campaigning and after the election, using our new impetus and vastly greater human resources to make voters aware – though social media, public meetings, our newsletters, our canvassing at local elections – of the radical alternatives the Greens have to offer. There is no meaningful difference among the policies of the main parties. Each uses image consultants and focus groups to discover what concerns people most. Each then formulates average policy for average people and then tells them what they want to hear. The Green Party has a democratic system: hundreds of potential policies emerge from its grassroots and are slowly screened and filtered to produce a manifesto on which everyone is agreed. It takes time and effort, but it produces policy that people really want and need. More important, it allows scope for vision and ideals. The main parties are interested in neither. David Cameron promised the Greenest government ever. I believed him in 2010. He raised interest in Green issues at the cost to the Green Party of stealing its clothes. Then came the revelation that he considered Green policies just so much crap. David Cameron has succeeded in persuading me that the Tories are simply not to be trusted with a Green agenda. Austerity is working in that it is producing the smaller government that so many hardline Conservatives want. The cost to the disadvantaged is massive and the gap between rich and poor has increased hugely, allowing the privileged to make themselves richer and even more privileged. Social mobility has regressed. The deficit is not great by historical standards and there is no need for the current austerity campaign. It is based on a neoliberal understanding of how the economy works in which wealth is whatever goes through the national accounts and growth is whatever increases this flow. We need to consider what real wealth is and work towards its creation. We desperately need to replace the dogma of austerity with appreciation that we should be investing in the infrastructure required to produce real wealth. We need accurate records of who is entering the country so we can prevent illegal immigration. We also need much more legal migration. Legal immigrants tend to be young and energetic, they work hard, often in jobs that residents are reluctant to do, they pay taxes here and they subsidise our public infrastructure on which most of us depend, including our pensions. Legal immigrants to the UK are vastly outnumbered by emigrants from the UK living in Europe. Typically, these are older people, often not economically active, contributing little to local economies (and often societies), and usually a burden on local infrastructure, especially health systems. When UK voters protest about the evils of legal immigration to the UK, they are often expressing fear of something else altogether. It is a fear on which other parties seek to capitalize. The gap between rich and poor grew suddenly under Thatcher, continued under New Labour and has accelerated even further under the Coalition. Someone on the minimum wage simply cannot afford the food to stay alive and healthy. This is shameful. Even more shameful is the castigation of the poor as being at fault. We hear far too much about the undeserving poor and not nearly enough about the undeserving rich. We need a living wage rather than more food banks. We need an end to tax dodging (especially by the rich and multinational corporations), higher property taxes and a special tax on the super rich. Benefit fraud is tiny compared with tax fraud. We then need serious investment in proper infrastructure (including housing and education) and proper jobs so that we can begin to produce real wealth. The NHS is rightly valued as a national institution. As Bevan said: The NHS will last as long as there are folk left with the faith to fight for it”. But while the ideal is valued, the reality is often not. My own experience of the Save the NHS campaign of 38 Degrees, together with the latest report from the Health Foundation, suggest deep dissatisfaction with aspects of the NHS. In brief, people feel they are treated as numbers rather than patients. The solution lies not in more government imposed changes; it lies in less managerialism, listening to whistleblowers, putting more trust in professionals, and fewer incentives constantly to shift costs to other parts of the system. The Coalition never tires of telling us how austerity has not hit employment. There are lots of jobs, we are told. But what jobs? Nearly a million people are on zero hours contracts. Over 5 million now describe themselves as ‘self-employed’, often as ‘consultants’. New graduates expect high tech jobs in an information economy and are more likely to find themselves working in a call centre or selling fast food. We are wasting these human resources. Investment – not austerity – creates proper jobs, and proper jobs create real wealth. Lack of diversity in parliament reflects inequality in our society. Those who have been to public school, trained in the law and served their time as assistants of various sorts in the political system, are hugely more likely to be elected to parliament. Their limited view of life is inevitably reflected in their attitude to serving their constituents. Take the recent exposure of Rifkind and Straw – different parties, but identical disdain for their constituents. Many MPs are members of political dynasties, families who have sent their sons to Westminster for generations. This is not a system that represents the people. We should negotiate the best terms we can, of course, but we need to remain in the EU. It brings vast benefits, mostly indirect, in terms of understanding and working with those who are our closest neighbours. Duncan has lived and worked in Oxfordshire for 30 years, and in Witney since 1996. Along with his wife, a local teacher, he has brought up his three children in Witney. After a degree in Physics at Wadham College, Oxford, Duncan trained as a teacher before following a career in scientific and medical publishing. After five years as head of the British National Formulary, the UK’s most important source of prescribing advice for healthcare, he left to run his own business in 2013. In his new role he provides leadership development, publishing expertise and management support both locally and internationally. For 10 years Duncan served as a non-executive director on Oxfordshire Learning Disabilities NHS Trust, which he became involved with after his oldest daughter Katy was born with profound disabilities. The NHS is extremely important and Duncan campaigns and works for better care for everyone, regardless of abilities or income. With children in local schools, Duncan is proud to serve as a parent governor at Wood Green School in Witney. He also served as governor at The Blake School and Springfield Special School in Witney. 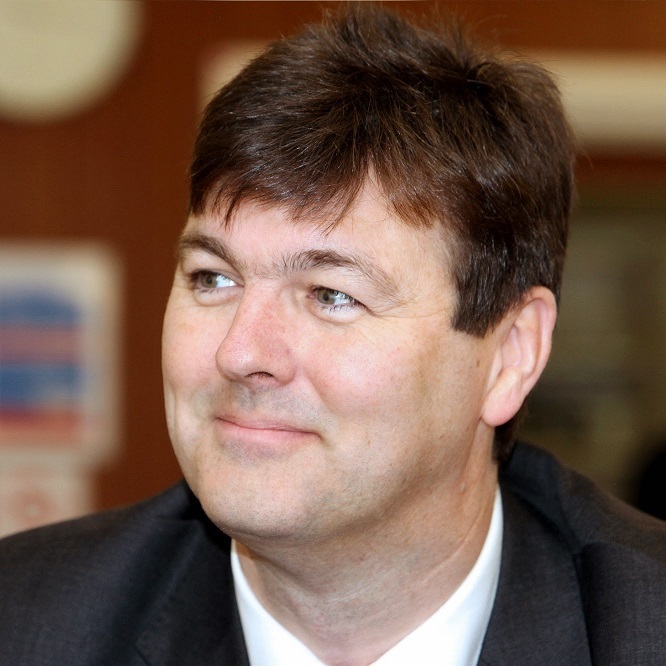 In 2011 Duncan was elected to Witney Town Council, and the following year to West Oxfordshire District Council – the first ever Labour representative for his home area of East Witney. He has campaigned on local issues including accountability and transparency of local councils, for better transport and traffic schemes, on environment and flooding, for Fairtrade status for Witney, and support for local jobs, businesses and pubs. Duncan is passionate about sustainability and action on climate change, which was brought home to him personally when he was flooded out of his house in 2007 for eight months. Inequality and poverty weaken our communities, and Duncan will not rest until we have a fairer society in which we all look out for each other and we all have a chance to achieve our full potential. I am already a councillor so have experience of this. I conduct street and doorstep surgeries regularly, and have regular advice surgeries advertised widely. I publicise my email and phone numbers too and aim to respond to all correspondence within a couple of days. I aim to listen twice as long as I speak. I have lived here for over 18 years, and brought up my family here. My children go to local schools. I think I am very much part of the community, so will speak for West Oxon in Westminster, and carry on living here rather than going native. I have a strong background in getting things done for my community, and for the country, and as a Policy Commissioner in the Labour Party I championed Children’s Centres and clinical leadership in the NHS. I combine local knowledge with national profile, and dedication with formidable skills and tenacity. He has become Prime Minister, which is quite good going! He has been a good cheerleader for some local enterprises and is a regular visitor to the constituency. I am pleased he has reintroduced school nurses but want him to go futher to bring healthcare back into the community. His government has stressed localism, which is good and continues a trend in Westminster, but the test of any future government is whether they really trust local communities to manage their own services and budgets – the current council and service cuts suggest this government doesn’t really trust local people. I think we have taken a hard, long and rather unfair road out of recession. If we had followed the example of President Obama we would have suffered less and would by now have seen our economy grow back to the size it was before the banking crisis. We have not addressed yet some of the fundamental weaknesses in the banking sector. Both. It is important that we benefit from some immigration to bring skills and vitality to our country. My own family came from Poland in the 1700s and Ireland in the 1800s and I reckon on balance we have been good for Britain! However we should not advertise jobs and tenancies abroad which aren’t also made available to British citizens, and we need to clamp down hard on the traffickers and profiteers who are exploiting immigration for their own greed. That includes British racketeers as well as others abroad. It will be a long haul to make our country fairer and reduce inequality, but we need to start now to address the unfairness of recent years. In the short term, we can take measures such as freezing energy bills, reforming the markets for gas and electricity, cutting income tax with a new 10p starting rate (and reintroducing the 50p rate for the top earners), challenging monopolies and reforming high street banking, and using government buying power to make work pay. I’d like to see the widespread adoption of the Living Wage, currently £7.65 an hour in our area, which will force other low wages up as well as cutting the taxpayer bill for benefits which top up low wages. The NHS is the jewel in Labour’s crown – the best thing we have ever done in government was to create it and end the scandal of poor health for those who couldn’t afford care. It needs resources, reform and support after a damaging top-down reorganisation. I’d like to see an end to private companies profiting from providing NHS services. I want to see local NHS organisations like the JR in Oxford and GPs working together to integrate health with social care through Oxfordshire County Council to provide a seamless care service, offered as close to home as possible. I’d like radical action like the smoking ban to improve our health. I’d also like to see much better information for us all about how to look after ourselves and each other. Unemployed youngsters are a priority and the government can and should guarantee a job and more apprenticeships for every single young person. This will save taxpayers money in the long run, and set everyone off in the world of work. Small local businesses employ most people in Britain, so the next Labour government will cut business rates for them to encourage them to take on new staff and to grow. Yep. Absolutely. The Parliament should reflect society – it is one way we know that there is a lot of work still to be done to challenge privilege. It can’t be right that there are so many men who went to Eton in the Cabinet and Number 10 team. It means we are letting a small privileged section of society run things. I went to a comprehensive school and have a career in business. I’m proud to be standing to be MP and think more MPs should have had real jobs and real lives outside the Westminster bubble of media, civil servants and politicians. I’d say vote to stay. We must get stuck in to make Europe work much harder for Britain and all of us, not stand on the sidelines, or take our bat home and allow others to decide the rules of international trade. The costs of leaving are economically huge, but more importantly will exclude us from having a loud voice on major global issues. To USA we will become a peripheral partner, to China and India we become irrelevant. Nothing is forced on us in Europe if we fight for our interests. Through Europe we have influence and clout. Outside it we are isolated and weakened. No one is an island, each is part of the continent. We owe future generations the peace and stability we get through European engagement.